Spicy-deep fried indian chicken 65 (no msg or coloring). 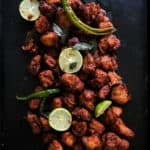 Spicy-deep fried Indian chicken 65 (no msg or coloring)- you can now make this restaurant-style popular appetizer at home, the recipe is a step-by-step guide on how to make them with minimum effort. Making a platter of Indian chicken 65 at home just got easier because the recipe I’m posting here will provide you with clear instructions on how to make them without the usual msg or food coloring. You can still get the deep red hue(close) that is the signature color of the chicken 65 dish using just one ingredient already in your kitchen. 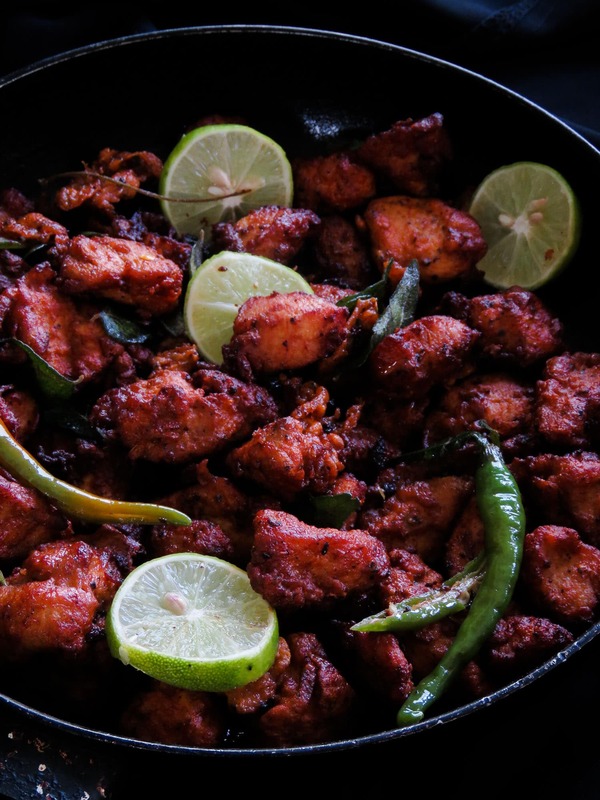 I have to admit, after making a variety of Indian chicken recipes, I am fascinated and eager to learn and make more of them, not only do they have different ways to cook chicken depending on the region but they really do know how to add flavors and spice combination that makes me appreciate their cuisine more. My one regret is that I have to substitute certain ingredients, for example, I am substituting Kashmiri chilli powder with our regular Sri Lankan chilli powder, small changes like these makes me unhappy. But at the same time, I have yet to be disappointed with the Indian chicken recipes cooked so far. How can I serve chicken 65? 1/They are great for wraps as well as tacos with the usual accompaniments since there’s so much flavor in the chicken, I would suggest reducing the usual spreads of mayonnaise and sauce. 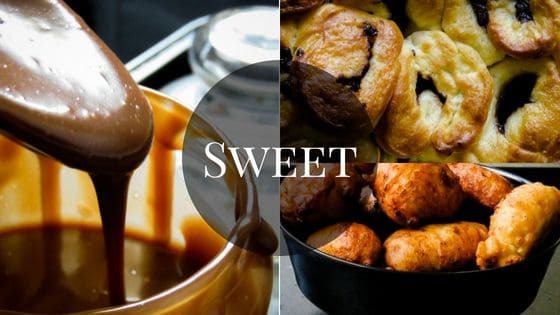 2/Serve them as a starter or appetizer while keeping a few pieces of roti or any type of flatbread to scoop these bite-size goodies. 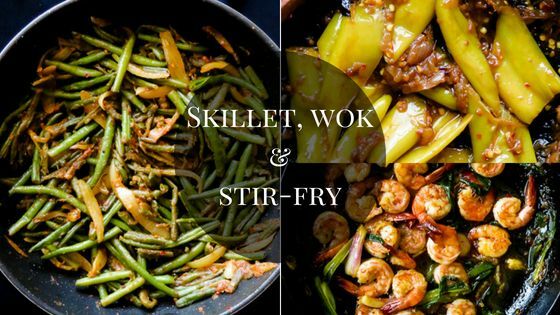 3/They go well with any kind of fried rice. 4/You can also serve them with a bowl of noodles. Keeping with my once a week theme, I try a different kind of dish with chicken as the main ingredient every week, if you are a new visitor to the blog, welcome! and please use the search button to find recipes based on chicken. 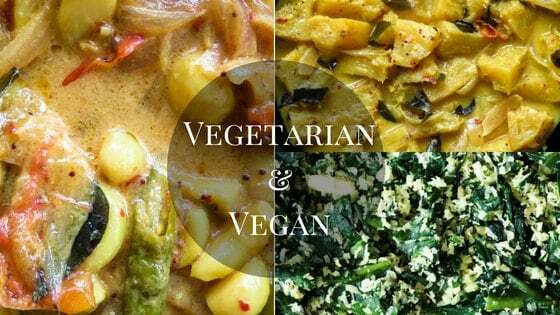 I would highly recommend starting with baked one pot lemongrass chicken curry and Tandoori chicken. Can I make chicken 65 with other parts? No, boneless chicken cubes work best for the recipe as you want them to be spicy tender mini bites. Can I bake the chicken instead of deep-frying them? The reason we are using cornflour and egg is to have the chicken cubes become thicker as they deep fry, I don’t think this will happen if you bake them. Can I marinate the chicken for a longer period? Yes, I actually did an overnight marination, I mention this in the recipe. What can I do with the leftover marinade? Once you are done frying the chicken, add the leftover marinade to the oil and break them into pieces and add to the tempering with the chicken. 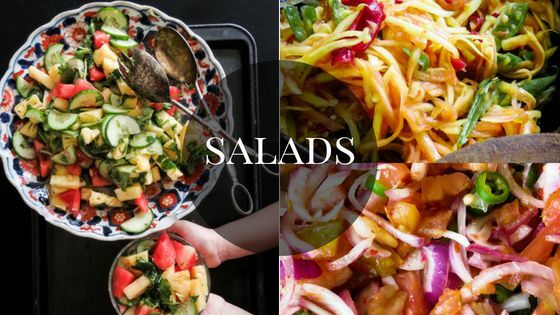 The recipe comes together in 3 stages. 1/Marinating the chicken that can take from two hours to overnight. 3/Adding the fried chicken to a tempering mixture which will be the final product. What size should I cut the chicken cubes, if they are too big? Once you add cornflour and egg to the chicken they tend to make the chicken slightly rise so keep this in mind when you cut them. 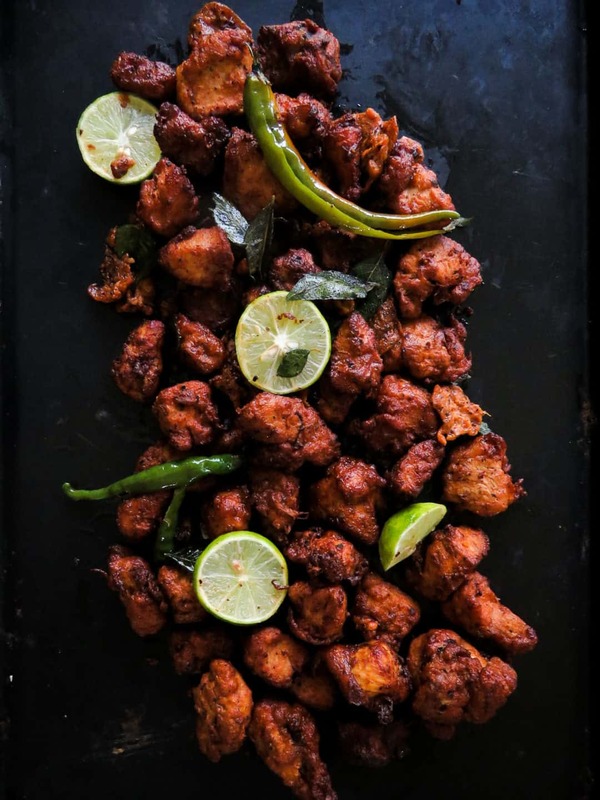 Recipe- Spicy-deep fried Indian chicken 65 (no msg or coloring). Add ginger-garlic paste, chilli powder, pepper, lime juice, garam masala, oil and salt to season to a bowl, combine to make a marinade. Add chicken to the following marinade, mix and make sure the chicken is well coated with the spice mix, cover and refrigerate for at least an hour.the longer you marinate, the better chance the spice mix has time to work on the chicken, I actually did an overnight marination and made them for lunch. Once you take out the chicken from the fridge, let it reach room temperature. 30 minutes. Make sure the chicken has reached room temperature, then to the bowl of chicken, add the tomato paste and mix. Add the cornflour to the chicken and combine well, followed by the beaten egg to the mixture, mix well, let it rest for 2-3 minutes while the oil heats. Before you start frying, line a baking tray or bowl with paper towels for the fried chicken cubes. Place a deep medium sized pan over low heat and bring the oil to a temperature that you can fry the chicken cubes without burning them or frying them too quickly due to high heat that they end up being raw inside. To make sure you have the correct temperature, drop a small bit of the marinade, once it floats while sizzling and change color, you can start frying the chicken cubes in batches, at any point, should the oil start smoking, reduce and start heating the oil all over again. The chicken when fried should take on a slightly dark orange tinge. do not fry them long, since the cubes are small they should puff up a bit due to the egg and cornflour and be soft. See notes to know what I did with the leftover marinade. Once you’ve fried all the chicken cubes set them to drain excess oil. Place a separate frying pan over low heat, the pan should be large enough to hold all the fried chicken cubes. 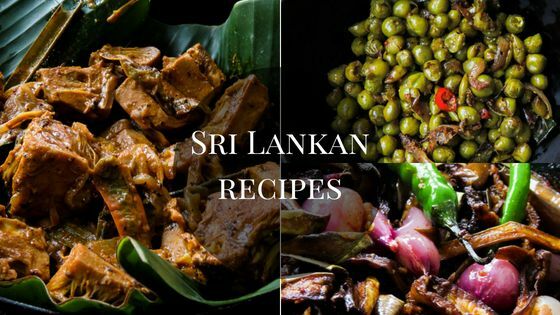 To this pan, add 3-4 tablespoons of oil you used for frying and heat over a low fire, add the curry leaves, split green chillies, onions(optional)and temper for 2-3 minutes. 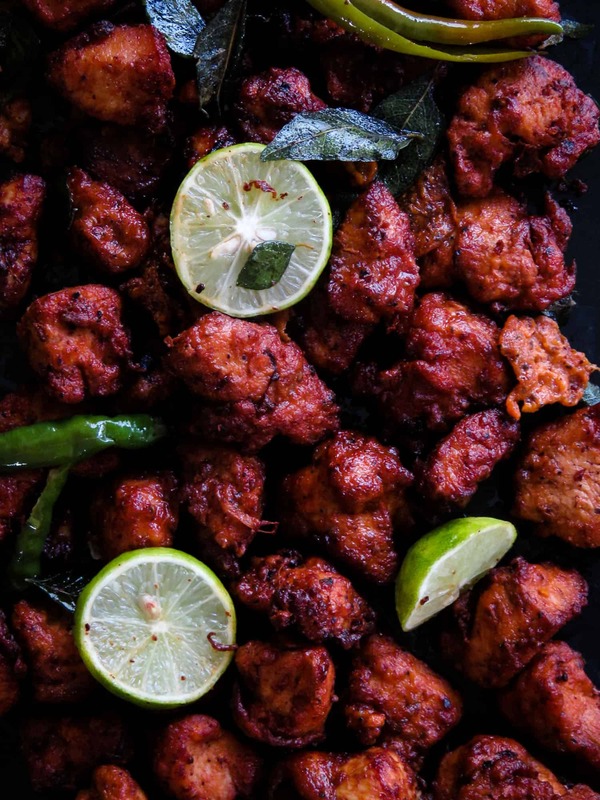 Remove from fire and transfer all the chicken cubes to the tempering, toss it a few times to combine, garnish with onions, coriander leaves and a few lime wedges. Add the cornflour to the chicken and combine well, then add the beaten egg to the mixture and mix well, let it rest for 2-3 minutes while the oil heats. Place a deep medium sized pan over low heat and bring the oil to a temperature that you can fry the chicken cubes without burning them or frying them too quickly due to high heat that they end up being raw inside. to make sure you have the correct temperature, drop a small bit of the marinade, once it floats while sizzling and change color, you can start frying the chicken cubes in batches, at any point, should the oil start smoking, reduce and start heating the oil all over again. Once you’ve fried all the chicken cubes, set them to drain excess oil.